Join us for the KidsLife Easter Egg Hunt, Saturday, April 20! Activities at this FREE event will be available for children age 12 and under, including a massive 100,000 egg hunt, bounce houses, food trucks, and more! This is a premarital class that will establish a solid foundation in which to build your marriage. Once you complete this class you will qualify for a discount on your Texas marriage license! Come out and join us any Saturday for men's fellowship and practical teaching from the Scriptures that are designed to empower men to lead, encourage men to act in integrity and equip men to fight the good fight of faith. It goes without saying that men and women are very different. But when it comes to marriage, these differences can cause some big issues if we're not equipped to identify and work through them. In Speaking Their Language, the new Marriage Master Class series, you'll learn to raise the level of your communication, change unhealthy patterns, and discover how to hear and speak each other's unique language. You will also explore how God designed your differences to complement one other and enhance your lives together. Join us following the main Saturday night service for a fun-filled connection with other singles. Lakewood Singles is a ministry for singles to connect, grow, and serve together. Come meet some new friends and be encouraged as we do life together over coffee. All singles are welcome to attend. Age range is 35 to 55. We meet every Saturday night. Let's celebrate the resurrection of our Lord Jesus Christ! He is risen! Enjoy this special time with your family during one of our services. MomWise class will resume April 28. 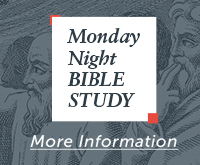 Join us every Monday night for a deep dive into the Bible, taught by Dr. Paul Osteen, Lisa Osteen Comes, and more! This special time of learning and fellowship will renew your spirit and strengthen your walk with Jesus. Are you a young adult getting ready to say, "I do"? Don't miss our new fun premarital class created just for you to prepare you for the biggest decision of your life! Couples seeking first time marriage are also welcome. The Men's Gathering is a coffee connection for men before the main Wednesday night service. We meet at 6:30pm in the New Beginnings Room (2nd Floor). All men are welcome to attend. Come enjoy some fellowship and coffee. Join us and Victoria Osteen as she sits down with friends for a video series to unpack her latest book Exceptional You! Discover the Exceptional You by adopting a new way of thinking about yourself! Come for coffee, conversation and connection. Do you want to be everything God created you to be? Authentic Manhood helps men to deal with issues inside and out to be a Christ-like man. You learn how to reject passivity, accept responsibility, lead courageously and expect God's greater reward. All men are welcome to attend. This new series will start Thursday, January 3 at 7pm in Room 4025. Celebration Place is a ministry for kids aged 5–10 who are struggling with life challenges, such as divorce, loss of a loved one, family and school issues, and much more. Celebration Place meets every Friday night from 7–9pm at Lakewood, in Underwater Quest (1st floor) and is free. Contact 713-491-1323 or [email protected]. The Landing is a ministry for youth ages 11–17 who are struggling with life challenges, such as family or school issues, substance abuse, sexual purity, self-esteem, 7–9pm at Lakewood, on the 4th floor. All Veterans both Men and Women are welcome to join us for the NEW Welcome Home Program designed especially for the needs of veterans. Our heroes are struggling with deep hurts, habits and serious issues and Celebrate Recovery is here to help. Weekly Open Share groups are available, Step Study Groups and Sponsors and Accountability partners on hand all just for veterans. If you are a Veteran and would like to be a part of this initiative, please join in Mission Control 3rd floor at 6:30pm. Celebrate Recovery is a Christ-centered recovery program designed to help those struggling with hurts, habits, and hang-ups. It's a safe place for individuals to overcome co-dependency, addictions, life challenges, and much more. Celebrate Recovery meets every Friday night from 7:00–9:30pm at Lakewood, on the 3rd floor and is free. Childcare is available. Contact 713-491-1323 or [email protected]. Leadership is critical to starting and growing a successful business, career or ministry. Join us for Next Level Leadership and you'll be equipped and empowered to take your leadership and influence to the next level! No registration or fee. Lakewood Church has partnered with Financial Planning Ministries to offer a free informational seminar to learn about the importance of having an estate plan for your family in the form of a will or a trust. In this seminar, you will learn the importance of having a will or a trust and why it matters to you and your family. Financial Planning Ministries has been assisting families with creating wills and trusts for over 30 years and has already helped many Lakewood members including Lakewood staff. If you do not have an estate plan, you can learn the benefits of having one and have one created for you at no cost as a service to our Lakewood members. Register here today. The Bible says that Stephen was “full of the Holy Spirit and of faith." He addressed the council with boldness, to point out how they resisted the Holy Spirit. Join us with Regan VanSteenis as she dives into chapter seven of the book of Acts. You will be encouraged and empowered! Want a place to connect with other moms? Join us in MomWise for our series based on Women of the Bible. Each week we will unpack a perfect blend of biblical yet practical ways to learn by the exceptional women of the Bible. Don't do #MomLife alone! Moms with children of all ages are welcome. We would love to see you there! We invite your family to a free screening of the movie, A Dog's Journey. Some friendships transcend lifetimes. In A Dog's Journey, the sequel to the heartwarming global hit A Dog's Purpose, beloved dog Bailey finds his new destiny and forms an unbreakable bond that will lead him, and the people he loves, to places they never imagined. Thus begins Bailey's adventure through multiple lives filled with love, friendship and devotion as he and CJ's best friend, Trent, experience joy and heartbreak, music and laughter, and a few really good belly rubs. Limited spaces are available so register today at LakewoodChurch.com/MovieNight. Every person must have a reservation. Do you feel called to ministry? Do you want to experience what it is like to be in ministry? We will have information sessions to provide information and applications for the 2019-2020 Lakewood Internship Program. The information sessions will take place Sundays, April 7, May 5 and May 19 at 10am in Room 3025. You can have the retirement you've always dreamed of. In this financial class series we will educate and empower you to take ownership of your retirement goals and show you how to build a dream team of experts to get you there. You don't have to retire broke, stressed, and working long after you want to. You can retire inspired! Junior High and High School students! Join us for a night of worship, games, prizes, connection and a challenging message. Don't miss out! Join us for a time of conversation, information about our Lakewood Youth Ministry, and a chance to meet with our staff and leaders as we learn how to lead and serve our students together. As part of Lakewood Church's 60th Anniversary Celebration, we would like to celebrate 60 years of touching the world with Jesus Christ's message of hope and compassion. Our goal is to have every nation represented that attends Lakewood Church. We particularly need help recruiting participants from countries in Asia, European countries and Australia. The space is limited to 30 – 40 people. If you are a Lakewood member who lives in the Greater Houston area, can attend the required rehearsal and performance times below and have dress attire that represents your nation, please register at LakewoodChurch.com/ParadeofNations. Other Required Commitments: Wear dress attire that represents your country and have the ability to carry a flag. Anger can destroy relationships, damage our health, and keep us from living a victorious life. This class will give you vital tools to overcome anger and experience God's peace in your life. The 13-week class repeats continuously, so you can start anytime. Certificates are issued to those with court-ordered requests. For more information call 713-491-1323 or email [email protected]od.cc. Ms. Dodie will personally pray with you and believe God for physical and emotional healing in your life. Limited parking is available on the Timmons Circle drive. If you're a business owner looking to go to the next level, or if you're believing to start a business don't miss this dynamic seminar. You'll hear from successful entrepreneurs who will share their tips and experience on how to grow a successful business. No registration or fee. There's a lot going on at Lakewood. Use these filters to help find the events you're interested in.